Quantum Mechanix (otherwise known as QMx) have been releasing Star Trek insignia badges since 2009. Like many of QMx's products, the badges are highly accurate reproductions of screen used props, in some cases even using original production molds. QMx have two different ranges: Full scale prop replicas (early badges had pin backs, but these were soon replaced with powerful magnets, allowing each badge to be worn without damaging clothing), and under-scaled pins (which continue to use pin fastenings). The list below is split into those two groups, and then in reverse release order, with the latest badges at the top of each section. 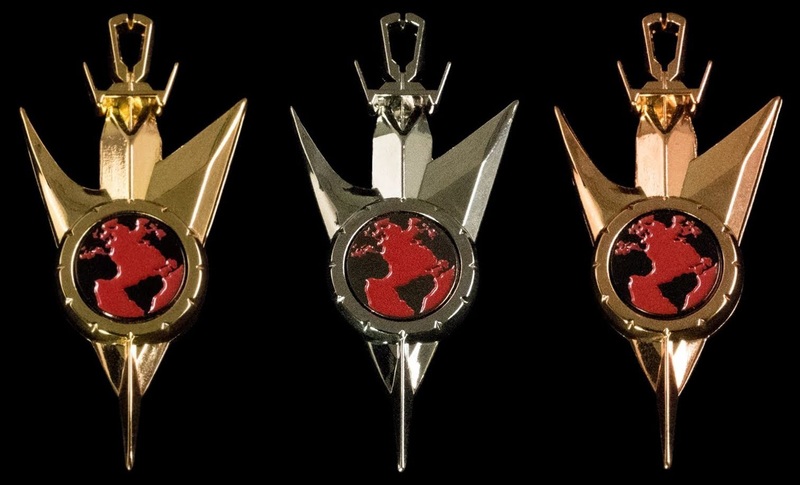 Series/format: Discovery insignia pins for all three department colour variants. Purchase: Entertainment Earth, Forbidden Planet. 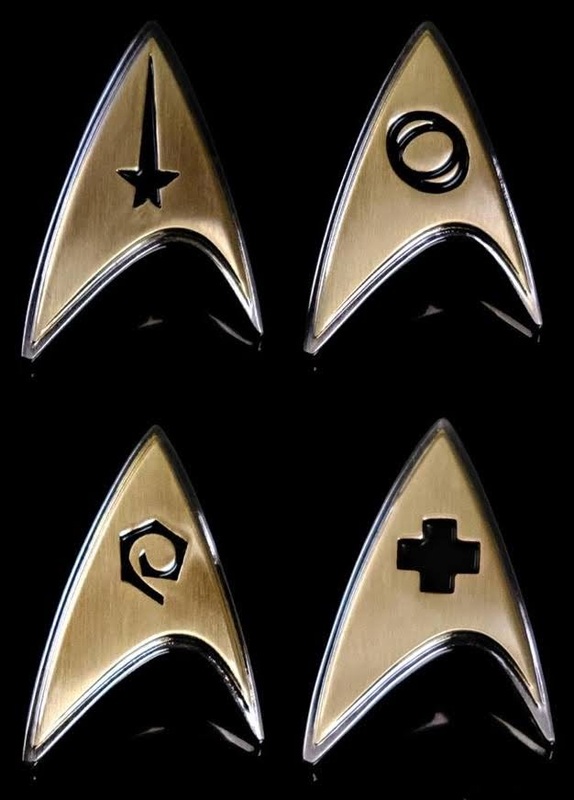 Series/format: Discovery insignia for all four department variants, releases in pairs with the corresponding mini pin (see below).